Legendary Toronto venue the Horseshoe Tavern turns 70 this year, and the folks at the Queen Street West institution have just revealed some more celebratory plans. Following a run of shows featuring acts like Billy Bragg, D.O.A., Hollerado, the Pursuit of Happiness, Elliott Brood and 54-40, another batch of artists will mark the occasion in the coming months. Longtime Conan O'Brien drummer Max Weinberg will be joined by his four-piece band to perform as Max Weinberg's Jukebox on October 10. Sun K will then treat the 'Shoe to a no cover evening performance on October 11, following the release of David McPherson's forthcoming book The Legendary Horseshoe Tavern: A Complete History. Beloved Canadian indie rockers Constantines will also be toasting 70 years of the club with back-to-back shows on December 15 and 16, while Skydiggers will bring back their annual Christmas concerts with sets on December 22 and 23. Rounding out the itinerary of anniversary celebrations, Lisa Leblanc will perform on November 16 and Fast Romantics will play on November 18. Tickets for the upcoming shows go on sale tomorrow (September 7) at 10 a.m. EDT, and will be available through Ticketfly, Rotate This, Soundscapes, and Horseshoe Tavern's Box Office. 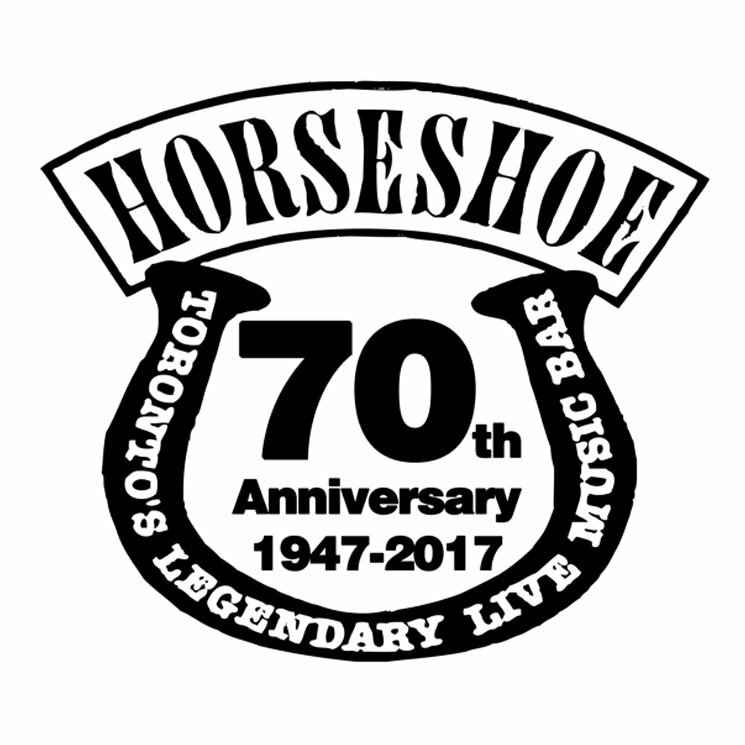 Find full venue information and updates at the Horseshoe Tavern's official website.